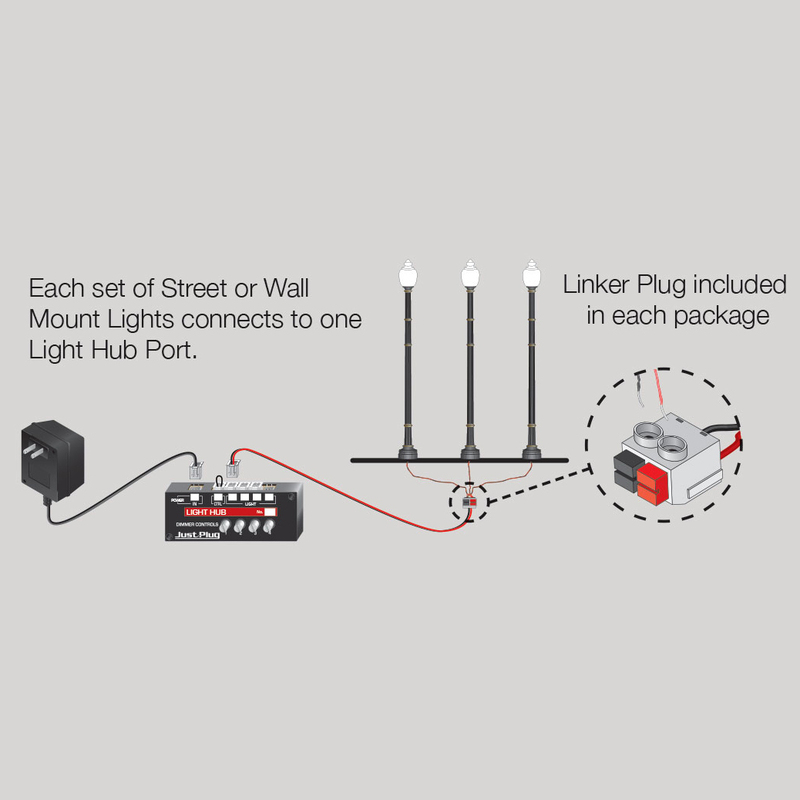 Use to light depots, rail yards, alleyways, sidings, parking lots and more. 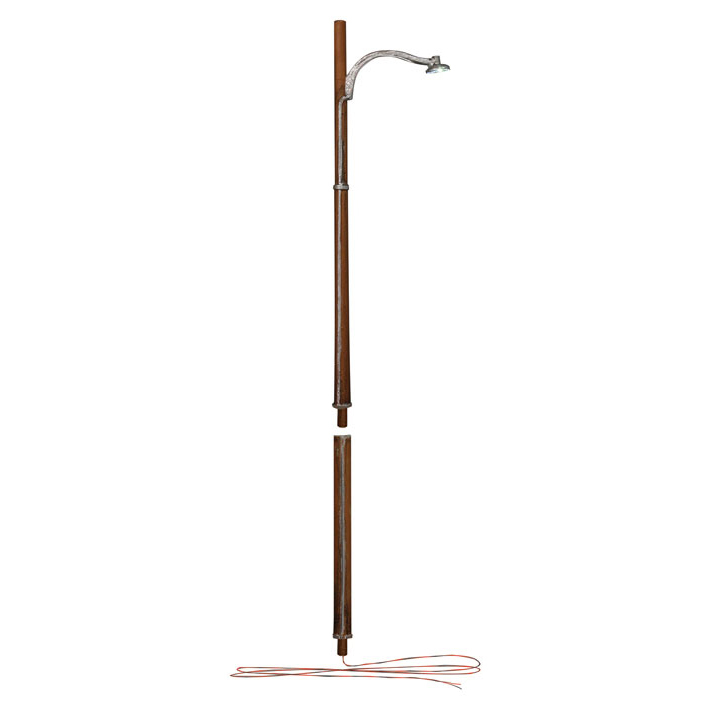 Also includes an extension pole to make the light pole taller for a broader reach. 20mA RoHS Compliant. 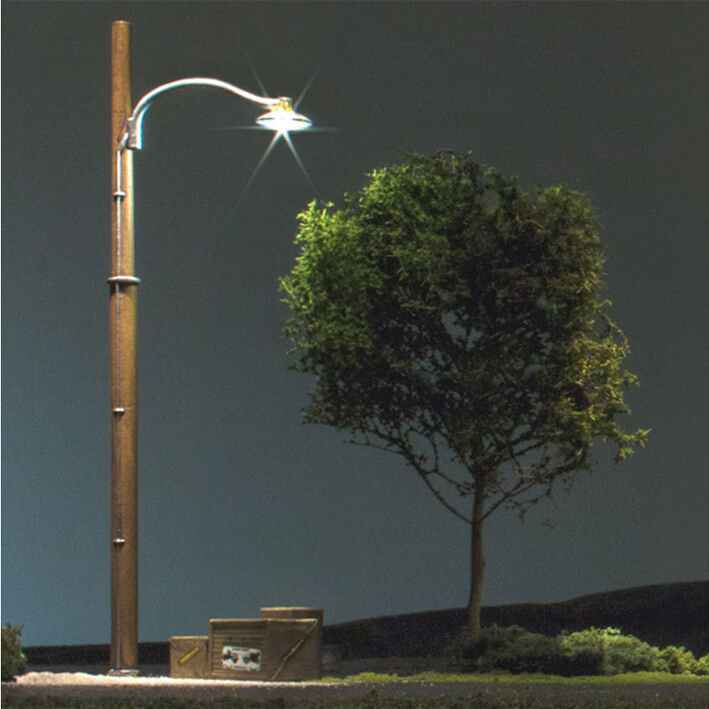 Includes 3 warm white LED street lights per package. *To operate as designed, these lights require a Just Plug Light Hub (#86274) and Power Supply (#86283), both sold separately.